We’re excited to announce the addition of Patient Reported Outcomes to Cureus! Cureus articles are written by practicing physicians or medical researchers with an audience consisting of largely the same population. 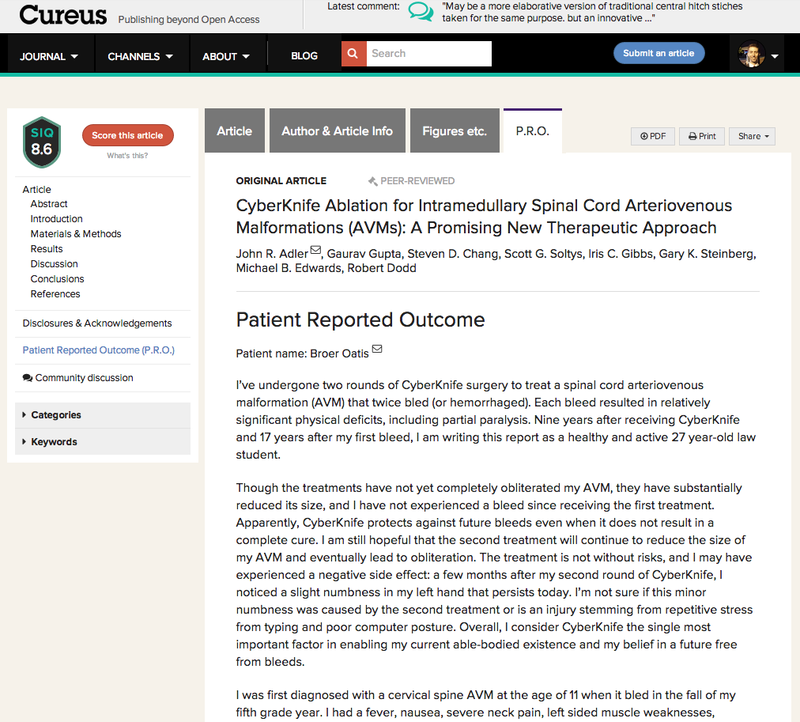 With Patient Reported Outcomes (PROs), Cureus is adding a new wrinkle to this tried-and-true system by allowing patients studied within Cureus articles to share the spotlight with the physicians and researchers. With a PRO, a patient gets to share his or her experience from the other side of the knife, so to speak. From consultation to procedure to post-op, our readers can get a layman’s perspective while also learning what it would be like to undergo such a procedure themselves. Not only are PROs beneficial to potential patients, but to doctors as well. The inclusion of a Patient Reported Outcome with your published article can provide relevant, easily digestible evidence when recommending certain procedures to your current patients – just direct them to the PRO as a way of educating them about a potential course of action. Each submitted PRO receives editing for spelling and grammatical errors by Cureus staff, but all PROs are otherwise published as is, with no interference from the article authors or the Cureus editorial team. PRO authors can also include supplemental images to be published alongside their words. Would you like to add a PRO to one of your published articles? Contact your patient today – once patient consent has been obtained, we’ll gladly start a dialogue with the patient author!